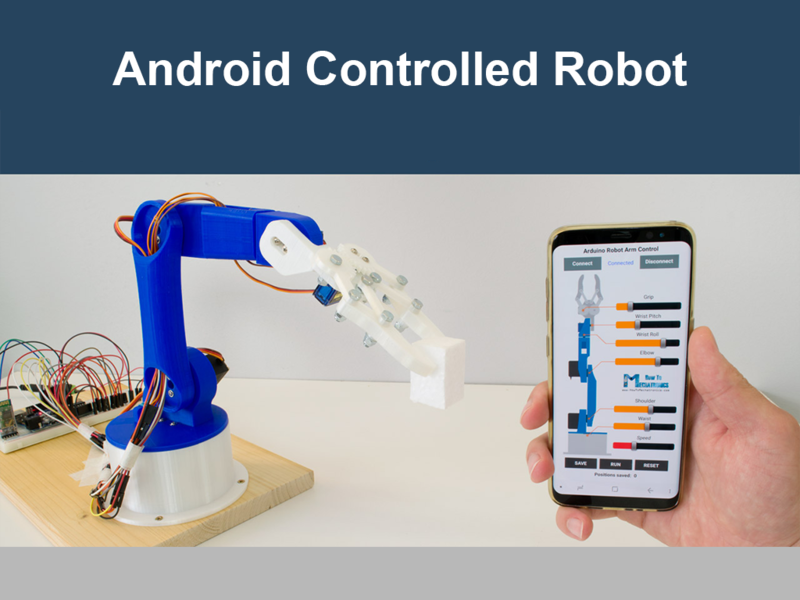 An android controlled robot is extremely handy and easy to use since it can be controlled with the help of handheld smartphones and other devices running on android. Android is one of the best-selling operating systems since 2013 and a growing number of devices are using android as Google looks to be a pioneer in automation and interconnected gadgets everywhere. An android controlled robot would be controlled through an app running on an android device which usually transmits signals using Bluetooth with the robot having a Bluetooth module to receive the signals. Robots and other instruments all need some operating system to run. It is expected that most of these will use android since android is one of the most popular operating systems developed by a company with well-known acquisitions of robotics based start-ups. Android-based instruments and robots might be exceedingly common in the near future. It enables the creation of powerful, flexible and inexpensive robots. Mastery of robotics wouldn’t be complete without complete knowledge of control using various means. Android is the frontrunner in operating systems due to its flexibility and user-friendliness. Thus it is important for an engineering student passionate in robotics to take up this course to learn control using android. Students can build a robot from scratch which can be controlled by any android run gadget by the end of this course. This knowledge will help students to take up many projects like smart home innovation with more ease. It is thus a valuable addition to one’s knowledge bank for it is sure to prove to be useful in the future. Bagging technical internships related to robotics and sensory devices only gets easier after taking up this course on robotics.